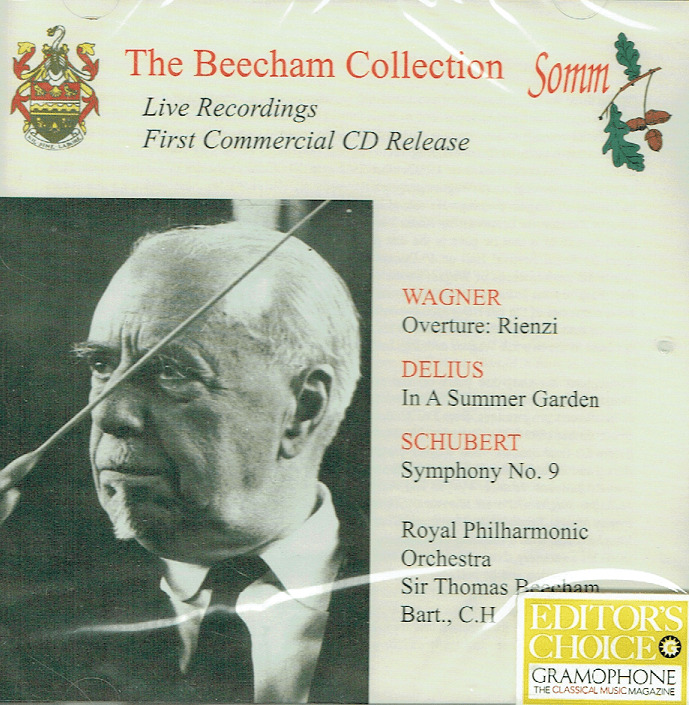 "The Delius...is the pearl - the finest account of this mighty work I have ever heard. Never has the music's rhythmic force and intensity seemed so overwhelming. Yet equally remarkable is the performance's beauty: the second movement's F major episode is wonderfully tender. 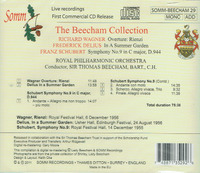 Beecham never made a studio recording of the great C major, but now we have it." 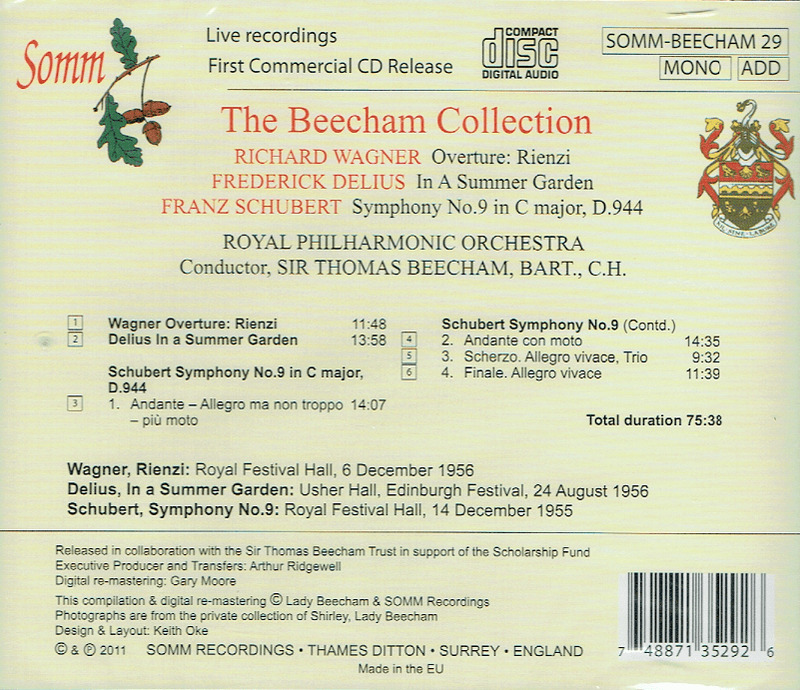 "A very worthwhile addition to the discographies of both Beecham and Schubert. The Rienzi Overture that opens the programme is bold, bullish and bursting with energy...this concert performance becomes a summer garden and the musically evocative phrasing is 100 per cent what Beecham was about. Wonderful!"